What sensational balderdash is this? A British production company is currently looking for a terminally ill person willing to undergo ancient Egyptian mummification. While some people might welcome immortality Tutankhamen-style, there’s a huge catch. The whole stomach-churning procedure will be caught on camera and shown later on high-def television across Britain. Can you imagine watching anything worse on a 54- inch screen? Steve Connor, a wonderful journalist at the Independent, broke this story a few weeks ago, and ever since fellow science writer Josie Glausiusz emailed me about it, I’ve been fuming. In the late 1990s, I flew down to Chile to attend a major conference of the world’s leading experts on mummies, and later wrote a book about my experiences. Two of the experts I met there, Bob Brier, a senior research fellow at Long Island University, and Ron Wade, director of the State Anatomy Board in Maryland, had just completed an important project in experimental archaeology. 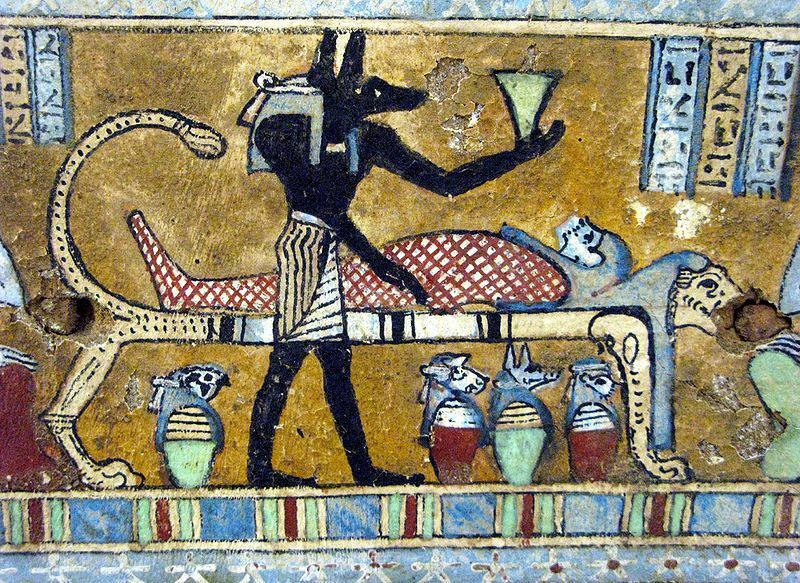 The two men had managed to mummify a modern human corpse in the lab by using ancient Egyptian methods recorded in early texts. In other words, we know exactly how the Egyptians did it. Science will not be gaining anything from this program. And I have to ask myself how many viewers in their right minds will want to sit down with their kids and watch a real mummification. The procedure begins, for example, by piercing the subject’s cranial vault. To do this, the mortician has to thread a metal tool through one of the nostrils and puncture the ethnoid bone that sits between the eye sockets. Then the mortician has to either draw or pour out the grey viscous brain matter. And that’s only for starters. The embalmers–who will not be skilled at this–will also have to haul out fistfuls of intestines and other internal organs by reaching blindly into a small incision. Good luck. I find it hard enough to write about this. Imagine watching it, particularly after you have gotten to know the terminally ill person in the opening episode. That’s the particularly twisted part of the producer’s plan. He wants viewers to meet the subject as a living person, so that they will have an “emotional response” during the mummification process. The ancient Egyptians had far more sense. Their morticians set up their workshops on the outskirts of towns, away from prying eyes, and they tended to guard their trade secrets very carefully. I think it’s enough to know these secrets today. I don’t see any reason at all to parade them ghoulishly in front of a sensation-hungry public. One has to wonder what will become of the mummified body after the television show has aired. Will it tour the country, the star attraction of a modern take on the classic cabinet of curiosities? Or, true to the fate of other hapless cadavers in the hey-day of Egyptian rediscovery, maybe it will be ground up into mummy dust and sold on eBay as a cure for whatever ails you. Either way…yuck. And yuck to this whole sordid business. Museums are very careful now about exhibiting human remains. I’m hard-pressed to think of an institution that would want to exhibit a mummy created in such a grotesque way. Museums may be very careful now about exhibiting human remains, but desperate TV producers have no such scruples. It almost seems like we are one step closer to executions as entertainment, like the 18th or 19th century or something. Ah, yes. But first we would get several weeks of the hideous criminal dieting and weighing himself, going on blind dates with starstruck brides-to-be, and singing karaoke in front of a panel of prison guards. All on camera, of course, and all live and unscripted. Credit where credit is due, I suppose…at least that producer recognized that there are, indeed, PROPER museums.